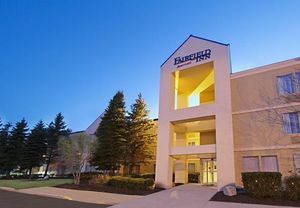 SCARBOROUGH, ME--(Marketwired - Nov 25, 2014) - Getting into the spirit of the season is as easy as visiting the Fairfield Inn Portland Maine Mall in the coming weeks. Not only can guests benefit from the hotel's new Shop til You Drop package, but they can give back to the local community via the ongoing collection drive on property. Plus the area's action-packed events calendar makes now the most festive time of year to discover this standout option among South Portland, Maine hotels. As one of the most exciting South Portland hotel deals available, the Shop til You Drop package includes a $50 gift card to the Maine Mall as well as complimentary shuttle service to and from the retail center. Guests who book the package begin their stay with a complimentary hot breakfast of waffles, fresh fruit, yogurt and more. After refueling, visitors can grab a seat on the free shuttle to the Maine Mall and begin crossing names off their holiday gift lists. After all, stores like Macy's, Michael Kors, Pottery Barn and more make it easy for visitors to shop for everyone from spouses to school teachers. While guests browse the stores for loved ones, they can also keep in mind those for whom the holidays are more of a burden than a blessing. Unique among hotels near the Maine Mall, this property is collecting items like winter clothing, personal-care products and school supplies to benefit the Preble Street resource center and homeless shelter. Preble Street facilitates housing services, advocacy programs, food programs and more for underserved residents. Visitors can also explore seasonal shopping opportunities at events like the 40th-annual Thanksgiving Arts & Crafts Show and weekend sales at the Kittery Premium Outlets, both between November 28 and 30. But there's more to the season than shopping, and this hotel's location near downtown Portland, Maine makes it easy to see the best of it. Visitors can witness the lighting of the tree in Portland's downtown district on November 28, or catch a performance of "A Christmas Carol" by Portland Stage between November 28 and December 24. The Christmas Prelude attracts visitors with lights, crafts, food and more between December 4 and 14, while the 21st-annual Sparkle Weekend features a Parade of Lights, horse-drawn wagon rides and more from December 5 to 7. Celebrating the holidays, whether one wants to shop, give or see, is as easy as staying at this exceptional Maine hotel this season. To book the Shop til You Drop package, travelers may use the promotional code HO9 when making reservations. Rates for the package, which is available through December 31, 2014, range from $139 to $239 per night.